This is our Grooming Room. In here is where our Yorkie Puppies and Toy Poodle Puppy get regularly bathed and groomed. We have a bathtub up high which makes it easy for bathing our Very Tiny Teacup Poodles. 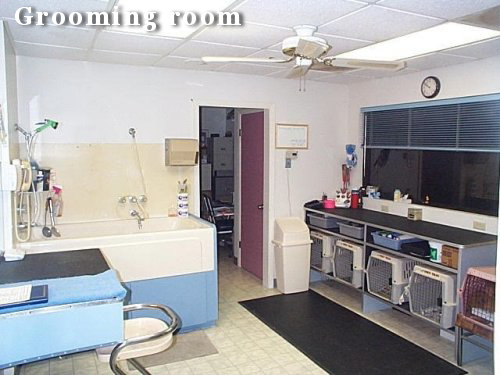 We have two grooming tables, one on each side of the room, so two people can bathe and groom at the same time.